The NIAP, in addition to educational lobbying for and on behalf of Nepal’s arts and broader crestive community, and its core purpose of providing unique one-stop online resources in English about contemporary Nepali arts and the Nepali creative and artistic community, also includes an important projects component intended to cover activities in the UK and Nepal. Some of these are direct NIAP group initiated and facilitated, but others involve support to key NIAP supporting visual or performing artists, and arts groups and organisations, assisting them to further profile their established great talents, and/or nationally and internationally renowned work and programmes for and on behalf of sections of — or more generally — Nepal’s artistic and creative communities. In some cases, the NIAP is involved in supporting in different ways and at different levels major initiatives of these renowned figures, groups and organisations. 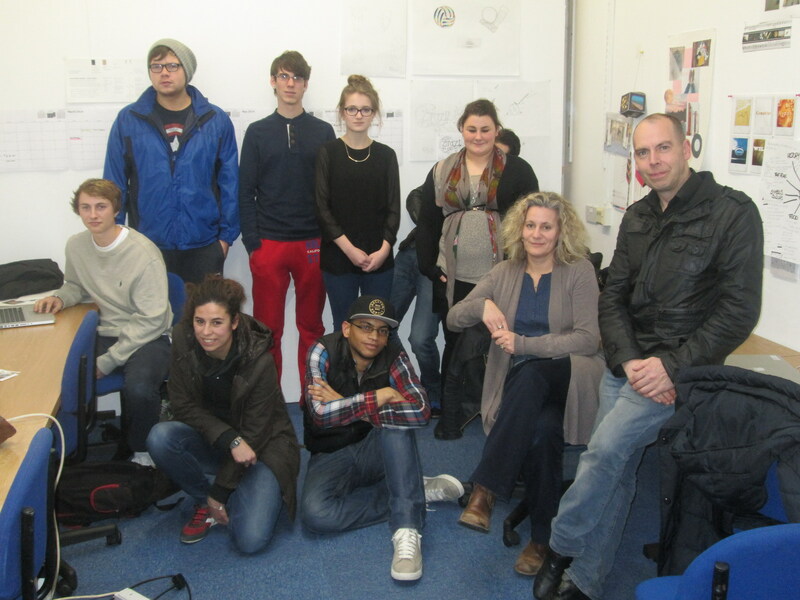 The first of our projects in the UK (image to right, above) — introduction of Nepal, its arts and artistic and creative community to the awareness of British youth in a Dorset / South-West England further education college, and subsequent design of the NIAP logo and website visual design — has been completed, with national and international as well as local area level acclaim. 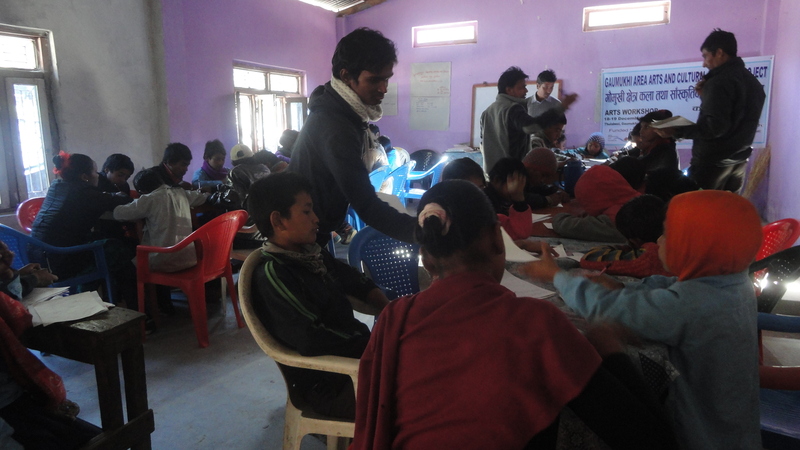 The first of our projects in Nepal (image to left, above) was an arts awareness and arts teaching workshop event (18th-19th December 2014) that the NIAP funded, and co-facilitated (through NIAP Nepal volunteer officer Shishir Dhakal in conjunction with the support of new NIAP Nepal team member Dipak Mehta) at Pyuthan in the Gaumukhi Development Area [GDA] of western Nepal, in conjunction with the UNESEEN organisation.